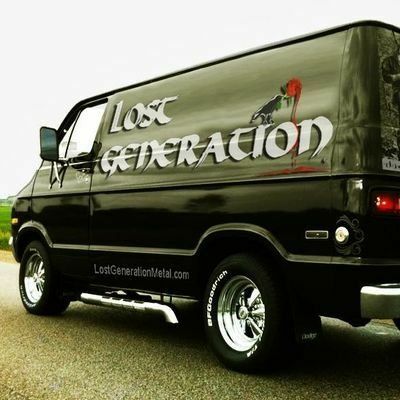 "This is really amazing to listen, really stunning instrument work This is indeed hard rock but I like it a lot , and thats is because of the good instruments and vocals in it"
Lost Generation was formed in 1997. Band members are: Ranko Curic (vocals), Danny Jo Brown (guitar), Wolffgang Muller (guitar), Alisher Gulyamov (bass), and Ronnie Lyons (drums). LOST GENERATION is a Hard Rock band in Music City. They live for the music and the fans they've gathered have shown that their brand of pumping Hard Rock is loved and appreciated. In 2004, they signed with JetSpeed Records in Hollywood, CA. In 2009, they signed with FYF Records in Nashville, TN. LOST GENERATION is influenced by Ozzy, Dio, Black Sabbath, Alice Cooper, AC/DC, Scorpions, Judas Priest, Queensrÿche and Motley Crüe, etc. You get the idea.